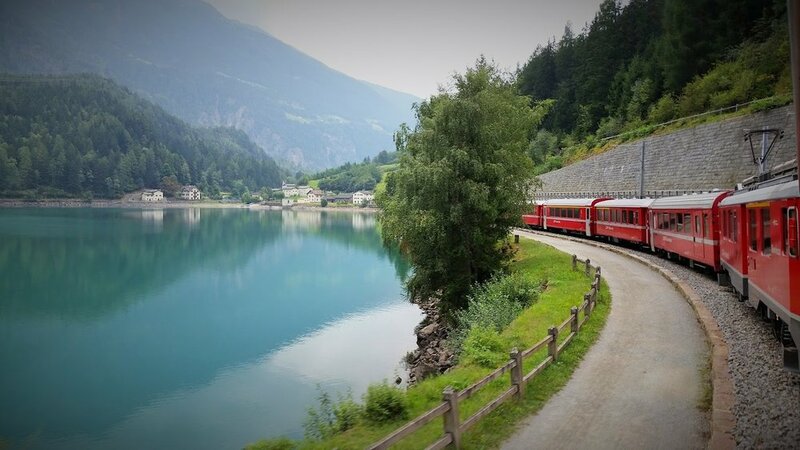 A unique excursion that brings you across the Bernina alpine pass with one of the most enchanting train rides in the world. The “Trenino Rosso del Bernina” is a must-do day trip. A small red electric train passing through mountain villages, pristine alpine lakes and peaceful refuges. At any time of the year! The train departs from the village Tirano, north of Milan. Tirano is located in one of my favourite wine and food area of Italy: Valtellina…! -- See Northeast region wine and culinary tours. At the Tirano Station ready for departure! 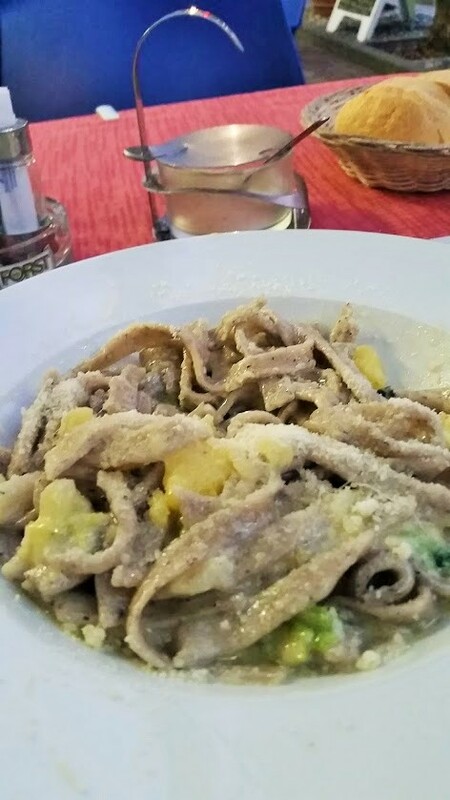 Pizzoccheri Pasta - A Valtellina food staple. Pair it with local Nebbiolo wine! After leaving the station of Tirana, the train transits through the village. After whistling through the bustling piazza, animated by smiling locals (here tourists are “still” not too many…! ), the train starts the amazing slow climb from 450 meters to the 2,000+ meters of the Bernina pass. 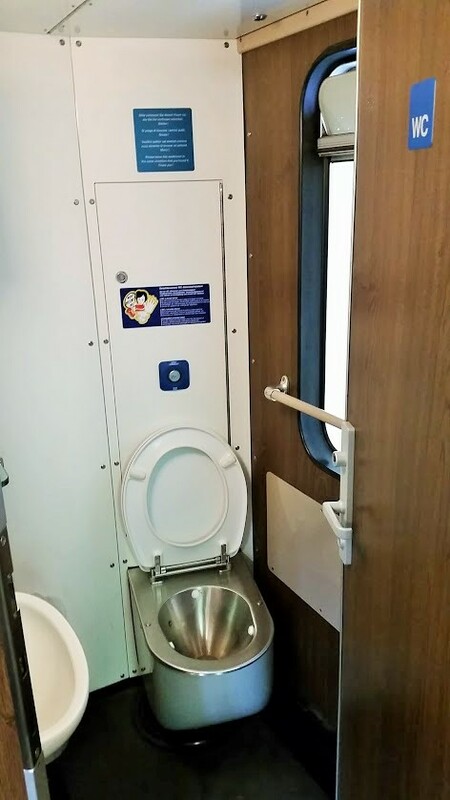 After being pampered at a beautiful 5-star spa hotel in St. Moritz, I took the Bernina Express back to Tirana, without getting off at any stop. 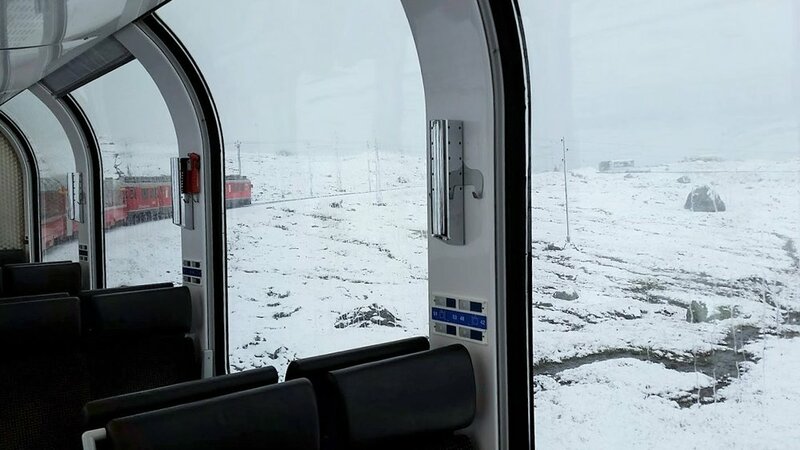 I had a reservation in one of the panoramic cars. Mother nature had prepared a nice surprise for me: at the end of August, at 2000 mt of altitude it was snowing! So, on my way back, I was gifted with a total different view of the magical Bernina mountains! The Bernina train route was declared a World Heritage Site in 2008. 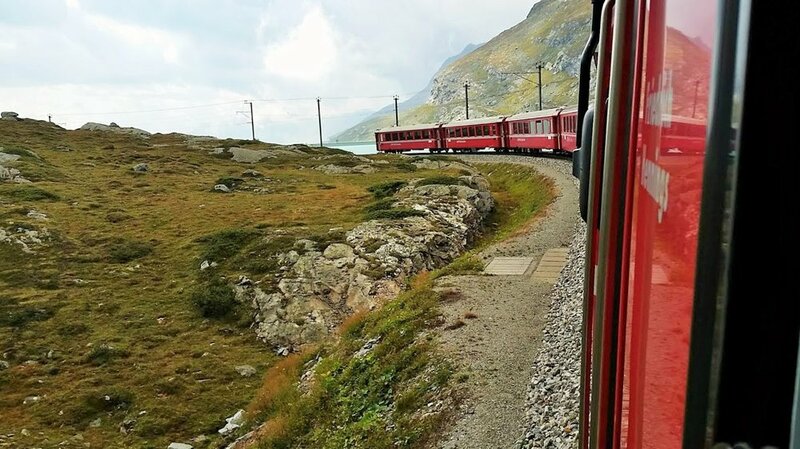 The trip on the Bernina Express through this World Heritage Site is a magical railway journey across 195 bridges, through 50 tunnels and across the Bernina Pass at 2,256 metres above sea. 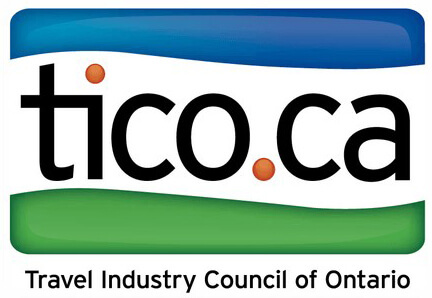 SAVOUR ITALY TOURS™ is a boutique tour operator specializing in custom packages & small group tours to Italy.